The Sisterhood: The Real Heroes? Bobbie, No! Just No! 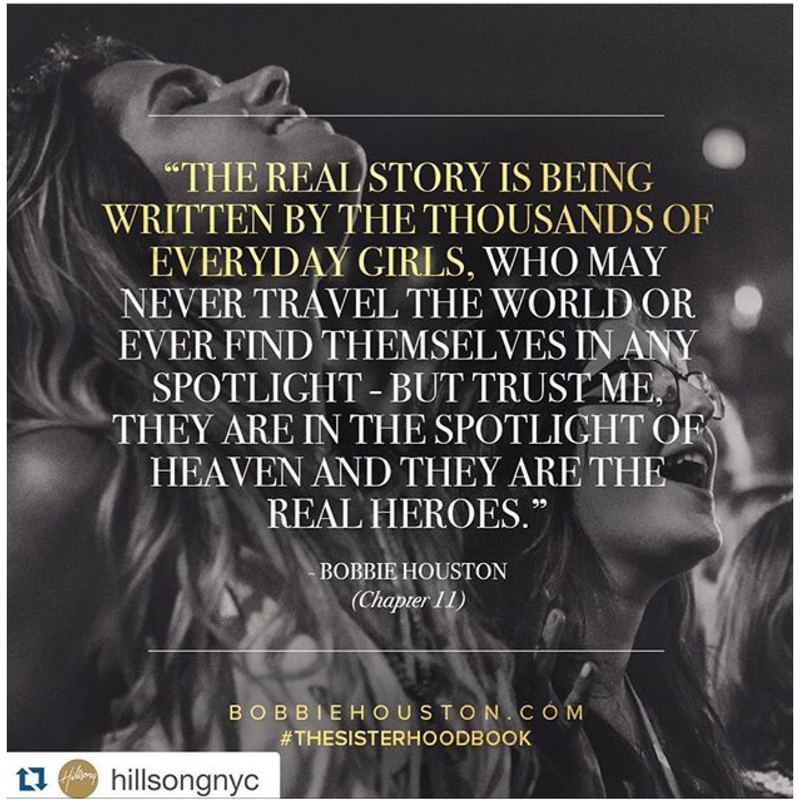 Home › Hillsong › The Sisterhood: The Real Heroes? Bobbie, No! Just No! Hate to disappoint you, Bobbie but the hero of the bible is Christ and Christ alone. Are we wrong when we say that Hillsong/Sisterhood followers represent themselves as the center of the (biblical) universe and that all of its redemptive history revolves around them? #selfabsorbedmuch? Did Bobbie Houston really write “Trust me”? That’s the funniest thing I have heard in ages….. can hardly stop myself from laughing! Trust Bobby Houston? I always suspected she was delusional and Narcissistic but now I am certain of it. Trust a woman who wrote that when she is carrying a bit of weight she feels like a “retard”? She’s kidding isn’t she? Who would ever trust someone who demeans people with disabilities by using such a derogatory term. Anyone who would align themselves with someone leading this concocted “sisterhood’ should hang their head in shame! And it goes without saying that anyone who would use such a derogatory is in no position to judge what constitutes a “hero”. When, oh when, will this couple (she and her disgraceful husband) just go away and leave us all alone!